Great alpine challenges are calling you this summer. Whether on Dent Blanche surrounded by its mighty glaciers or on the protruding Weisshorn in the Valais Alps – our new PEAK LIGHT is THE companion for demanding alpine tours. It is EXTREMELY LIGHTWEIGHT, TECHNICAL and even more FUNCTIONAL with the new SWISSWOOL TEC KNIT BACK SYSTEM. The SWISSWOOL-TEC-KNIT BACK SYSTEM stands for the innovative synthesis of a TECHNICAL FOAM BACK with HEAT-PRESSED SWISS WOOL covered with a 3D HIGH-TECH KNITTED FABRIC. The wool pads are used in the zones that come into contact with the back, storing large volumes of moisture without feeling wet. The PEAK LIGHT combines STABILITY, WEAR COMFORT and a LIGHT WEIGHT. The total weight of 1070 g* can be reduced by a further 380 g* by simply removing the TOP, HIP FINS, WIRE FRAME FOR THE BACK and other external fastening options. A minimal 690 grams* of weight thus widens the range of use, from long alpine tours to pitch after alpine pitch. * +/- 4% due to production and material fluctuations. The PEAK LIGHT 32 for men and The PEAK LIGHT 30 S with extra short back system, are our alpine lightweights made for demanding alpine tours. These backpacks are very robust yet incredibly light thanks to the use of the extremely tear and abrasion resistant material Nylon 420D Oxford. This Nylon fabric is one of the lightest materials that we use for our backpacks. The material is also PU-coated and thus water-resistant. The new triangular construction of the lid allows for variable adjustment with rope fastening without slippage. The lid is completely removable or storable in the main compartment. When stored in the main compartment, the lid’s zipper can still be easily opened. The lid compartment has two sections. Taped seams make the lid completely waterproof. For the PEAK LIGHT, we have concentrated on the important features and dispensed with anything unnecessary. 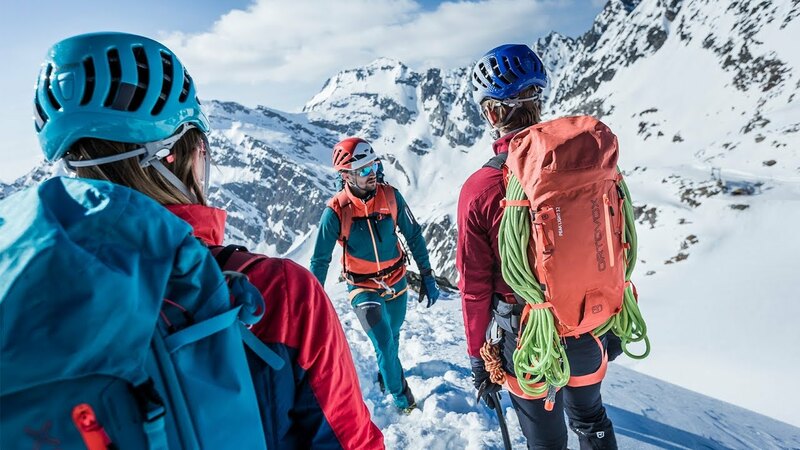 Of course, the PEAK LIGHT has all the important features such as a rope and ice axe fixation, load control cords, helmet net, material loops, hip pocket, a map compartment and the circumferential zipper for quickly accessing the main compartment from the front. Safety equipment is held securely inside thanks to the safety attachment. 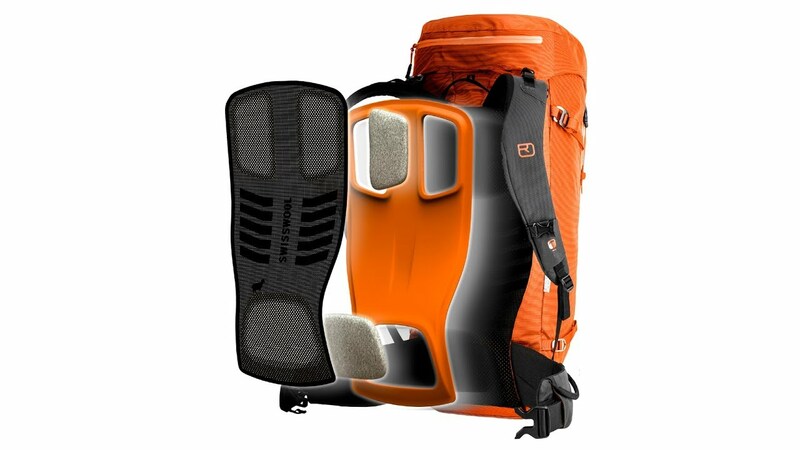 In addition, the standard ORTOVOX features include an emergency card, chest strap with signal whistle, compression strap, bright interior color, hydration system compatibility and a ski holder. These carefully considered features, the low weight and innovative back system make the PEAK LIGHT a highly functional alpine tour backpack where doing without means greater functionality. The lid is completely removable or storable in the main compartment while still being able to reach the lid zipper. Allows for variable adjustment with rope fastening without slipping. With 2 compartments and taped seams for increased protection against the wet. Find out all about our new PEAK LIGHT lightweight alpine tour backpack with innovative SWISSWOOL-TEC-KNIT BACK SYSTEM.